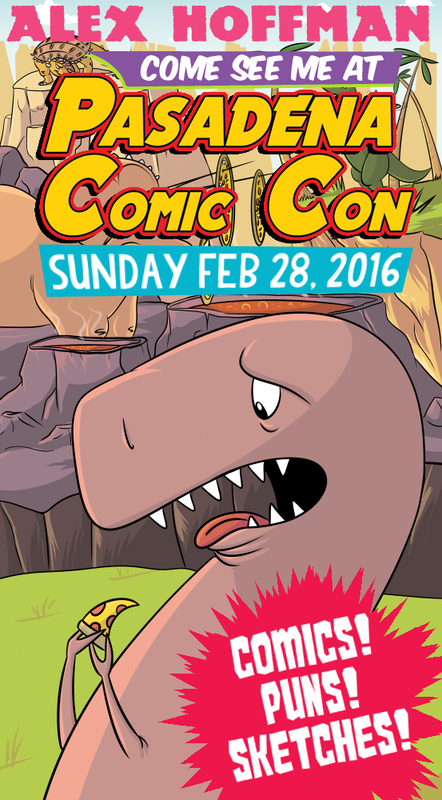 If you’re in SoCal, you can see me at Pasadena Comic Con & Toy Show this Sunday, February 28th! We can exchange puns, draw some presidents and hang out! I’ll also be sharing a table with my wife Sonia who makes nerdy oven mitts through Nerdy Novelty Design. Just look for the T-Rex eating pizza!